Areas that are "targeted" by the Federal Government were identified in the 2000 Census as areas in California where 70 percent of the families who live there earn an income that is 80 percent or less than the statewide median income. Forty-five (45) of California's 58 counties have targeted areas - with 37 percent of the areas located in Los Angeles County. 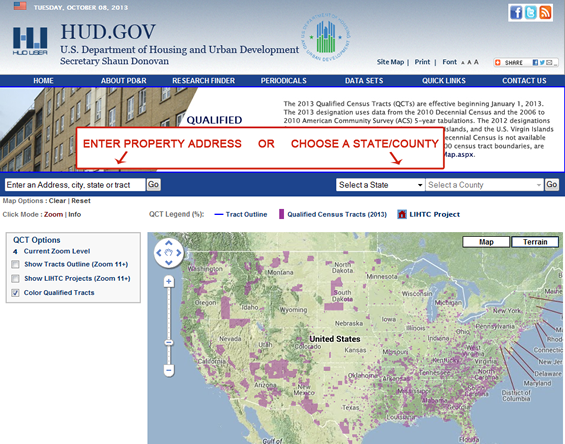 While cities, counties and other governmental agencies may also have specific areas in their jurisdiction "targeted" for other program purposes, only those census tracts identified by the Federal Government as "targeted" are used for CalHFA's purposes, as it relates to sales price limits and certain income limits.